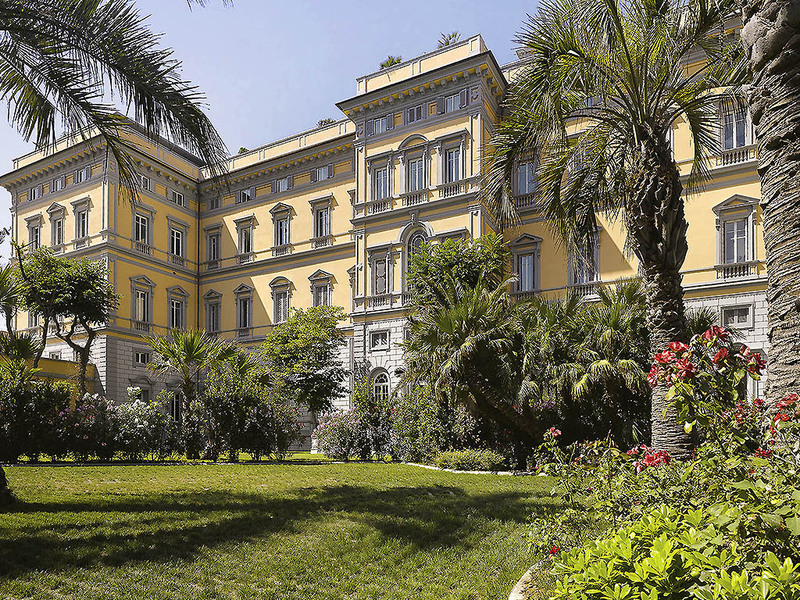 Go back in time and relive royal and Belle Epoque charm at Grand Hotel Palazzo, one of the most beautiful in the world, located on the ancient Via del Passeggio, behind the legendary Terrazza Mascagni. It offers for unforgettable moments: elegant rooms and suites with view of the Arcipelago Toscano, refined Italian and international cuisine, spa, meeting spaces, the Marconi Bar on the roof and a gym. Whether in the heart of a city center or in a more remote spot, each hotel in the collection boasts a fantastic location ensuring our guests a unique trip. The rooms and suites at the Grand Hotel Palazzo MGallery by Sofitel take you back to a time when Livorno was an extremely popular seaside resort among European high society and traveling was a real art. Relax in unrivaled elegance after a day exploring Livorno. High ceilings, sumptuous furnishings and enchanting views are further enhanced with superb service, to ensure that you can enjoy absolute relaxation during your stay. Located on the top floor of the hotel with a charming sea view, the Mascagni Restaurant is the ideal setting in which to savor fine local and Italian dishes. Excellent produce and flair from our chef will leave you with great memories. Bar Marconi is the ideal place to enjoy a drink and appreciate the gorgeous sea view. You will be able to sample the finest selection of wines and spirits from around the world in an exclusive atmosphere: the perfect location for flavor and feeling.